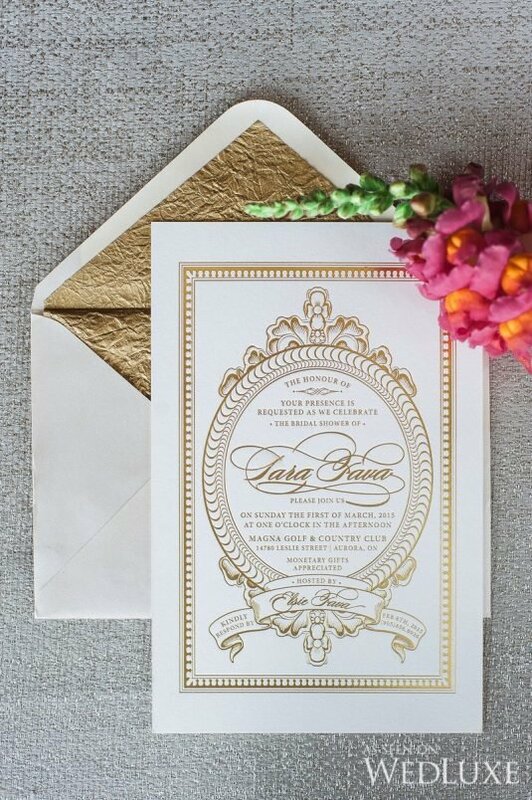 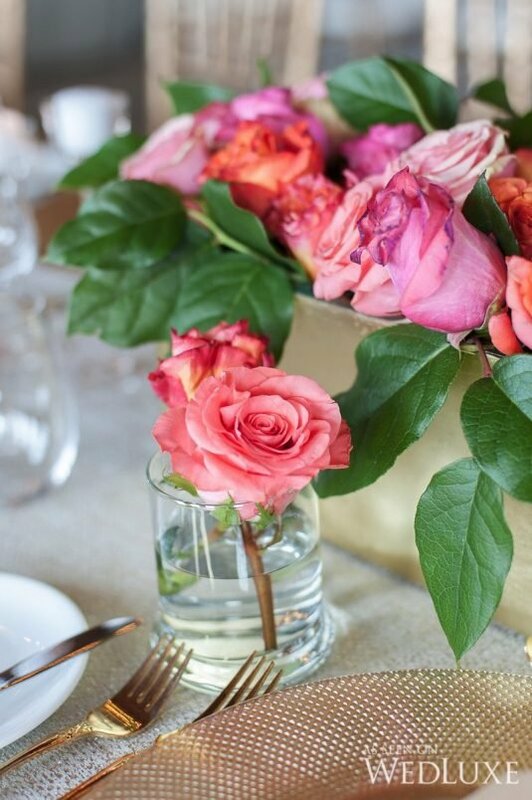 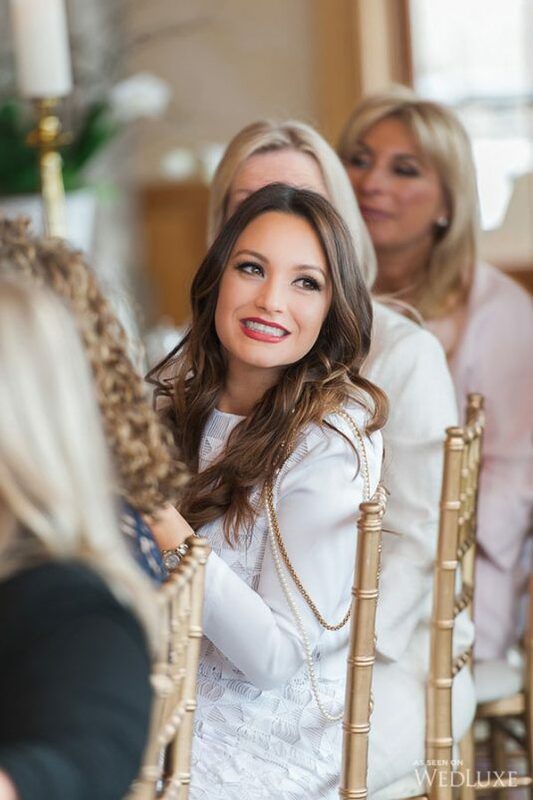 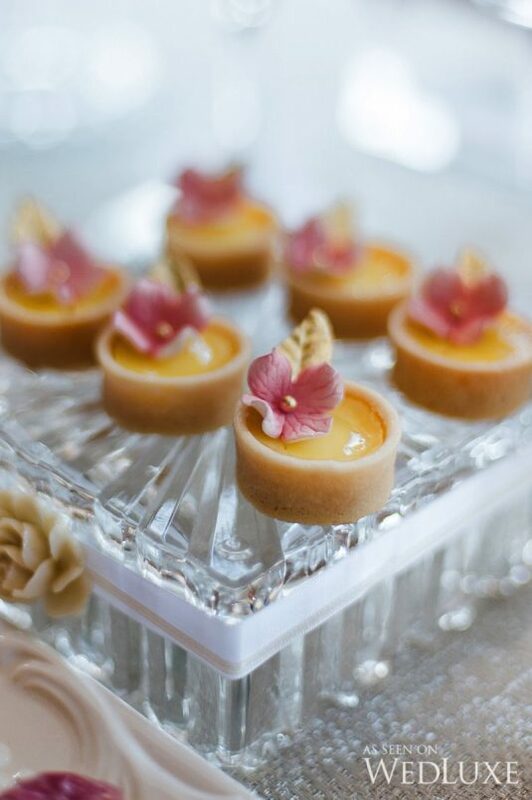 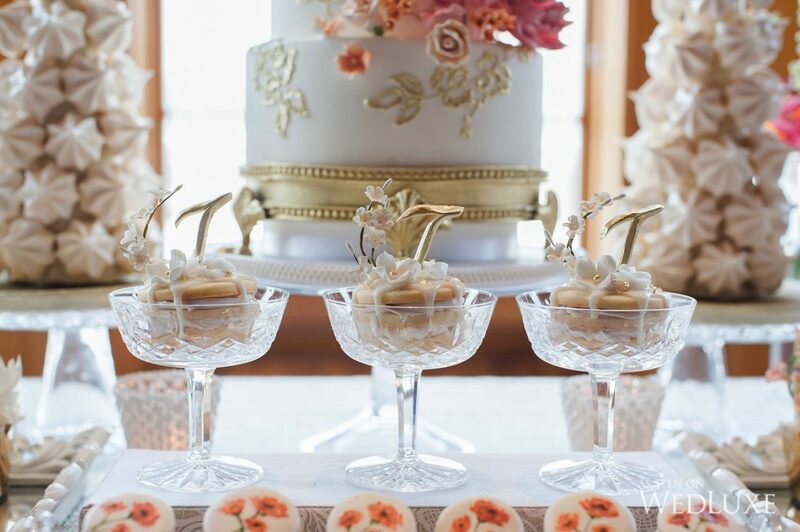 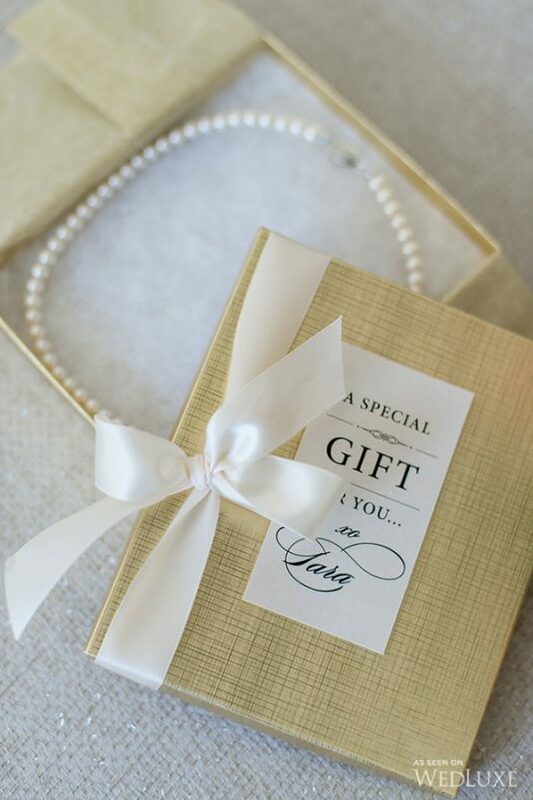 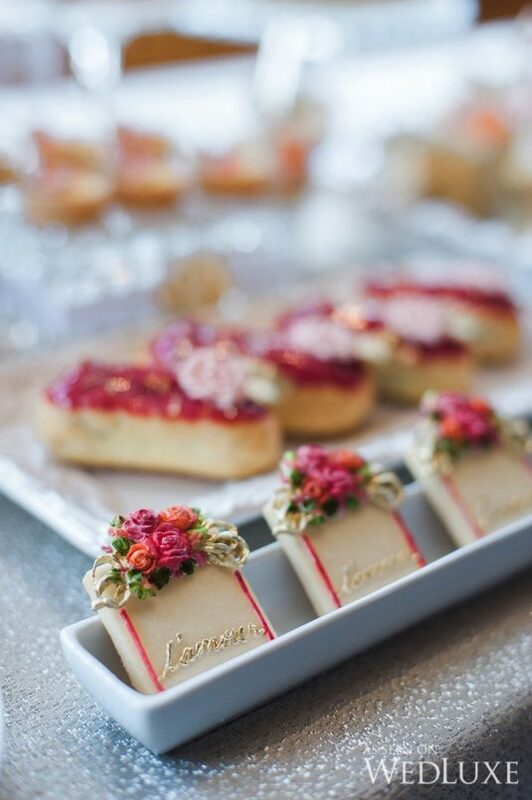 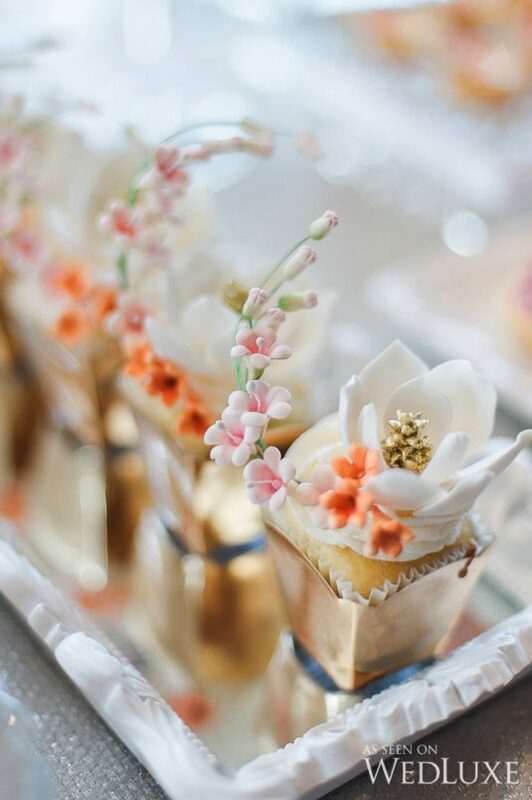 We’re major fans of jewellery designer Tara Fava and her stunning creations, so you can imagine our delight when Krista Fox Photography shared these beautiful photos of the bride-to-be’s shower with us! 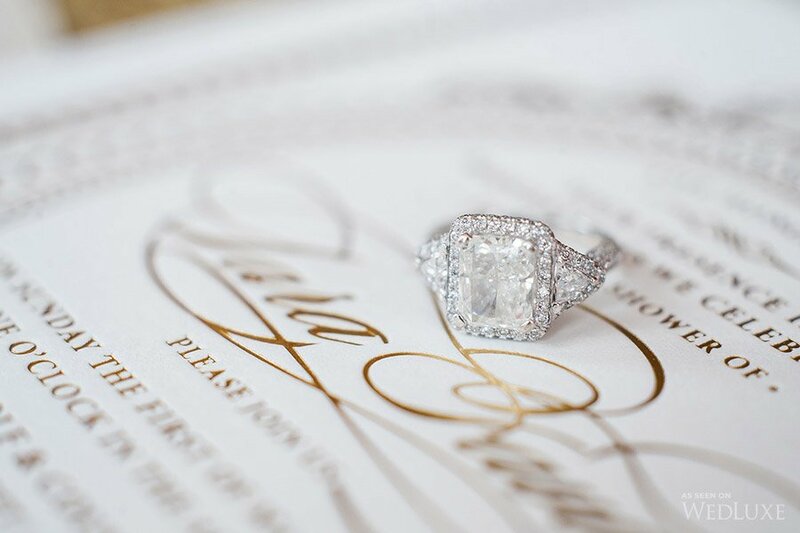 The celebration was inspired by the City of Light where Tara and her fiancé Matt were engaged last spring. 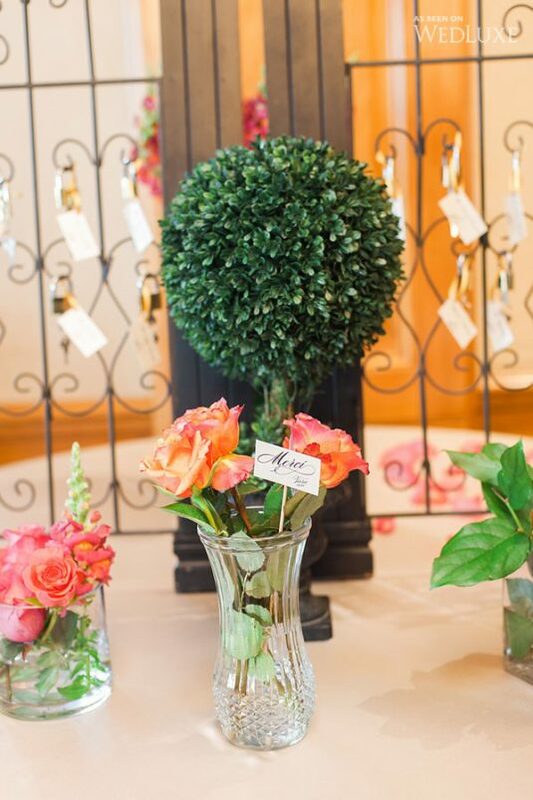 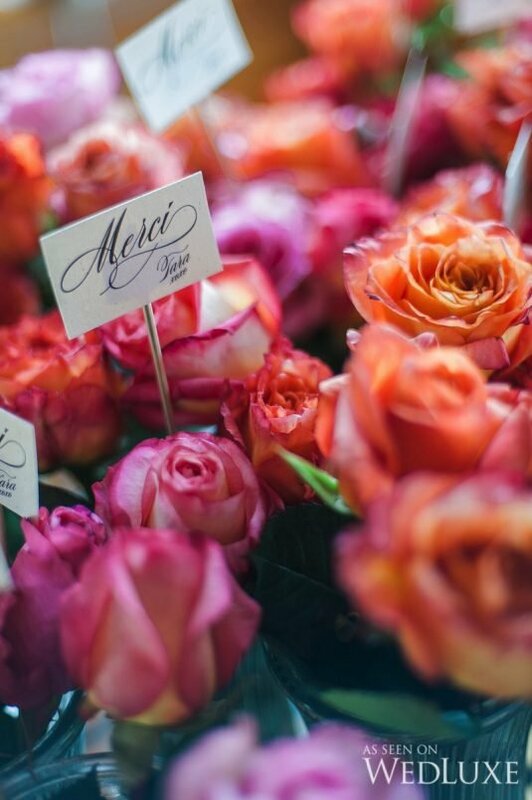 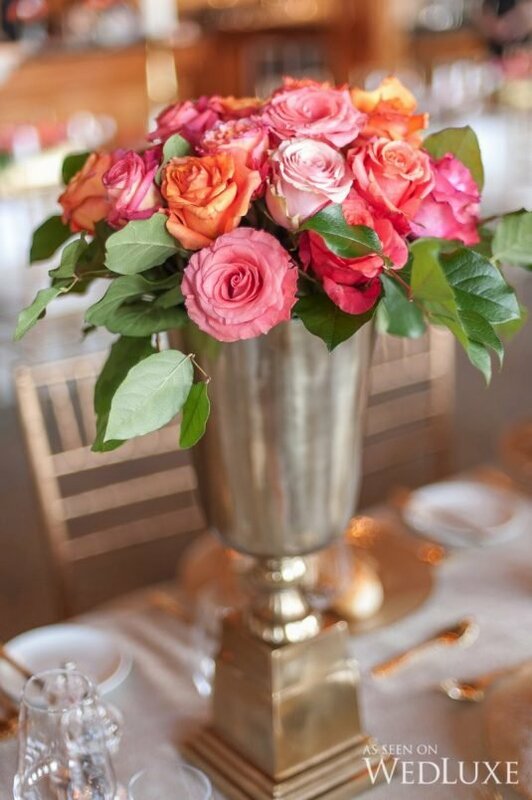 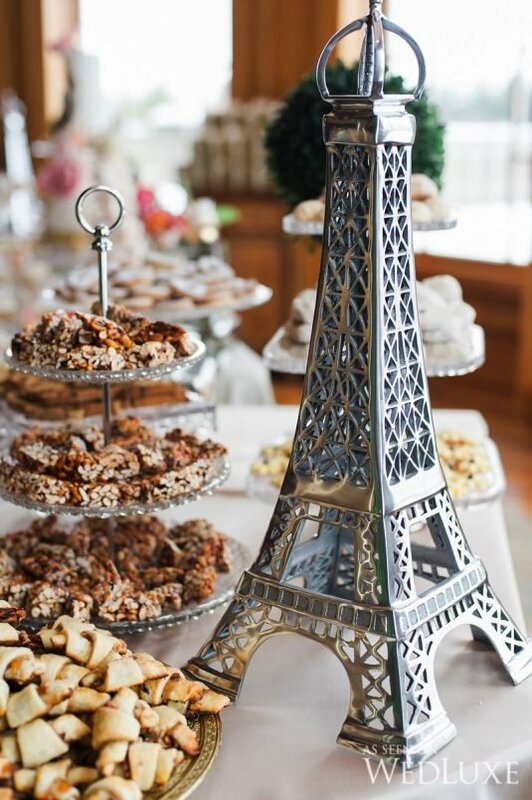 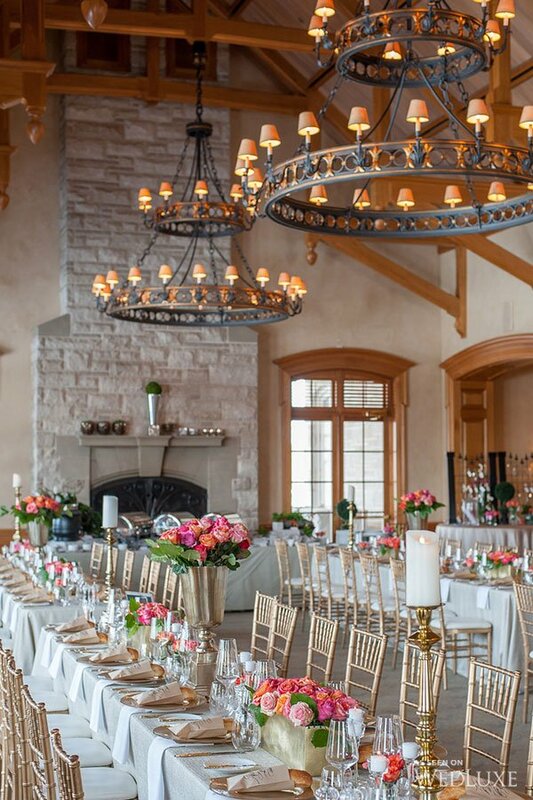 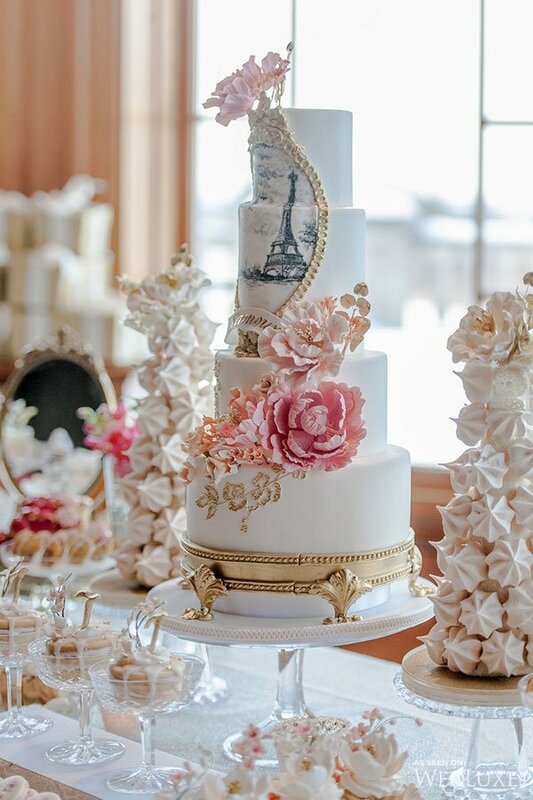 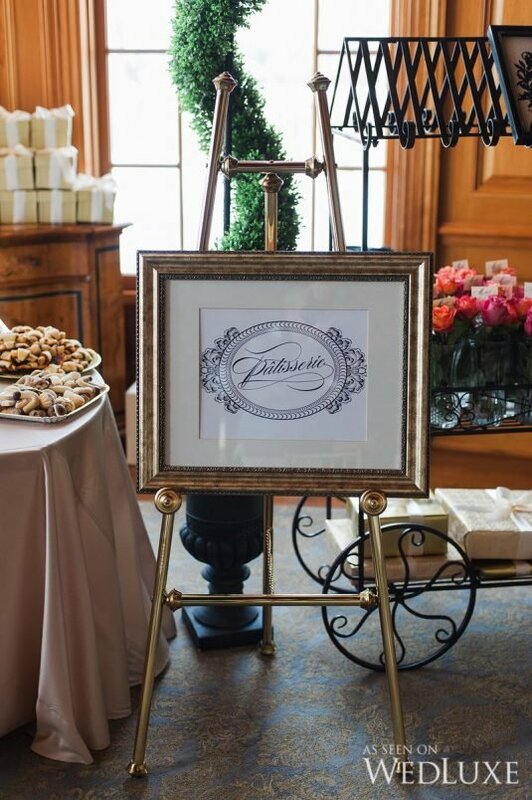 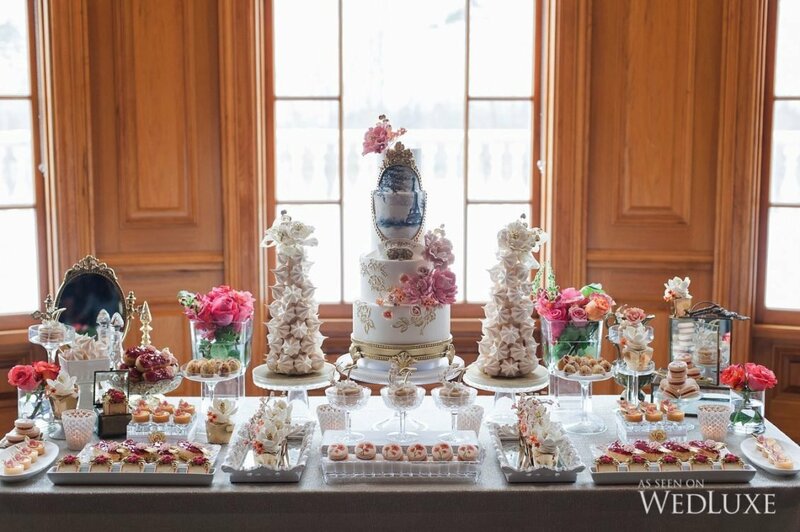 Event Designer Melissa Di Pasquale of Melmarie Events created a romantic atmosphere at Aurora’s Magna Golf Club for the event that echoed the sights and pleasures of Paris. 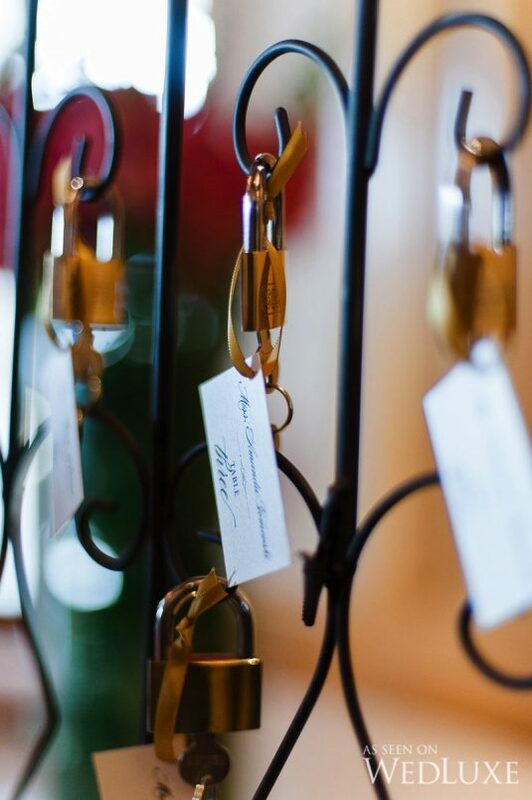 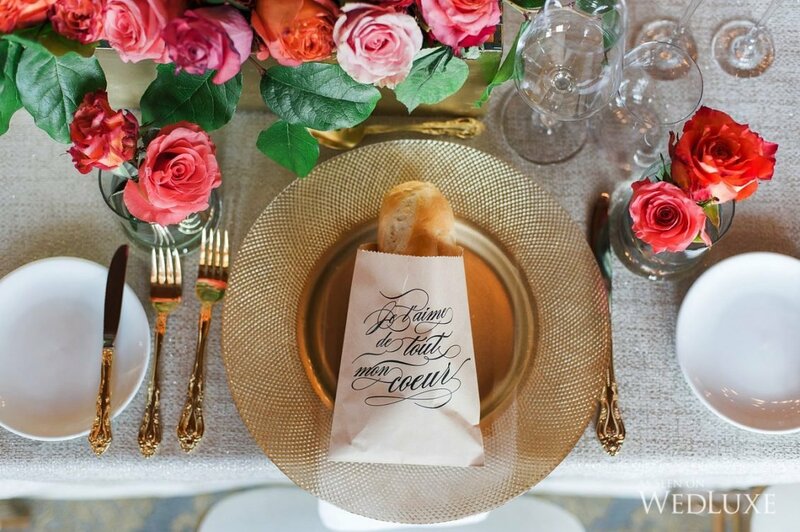 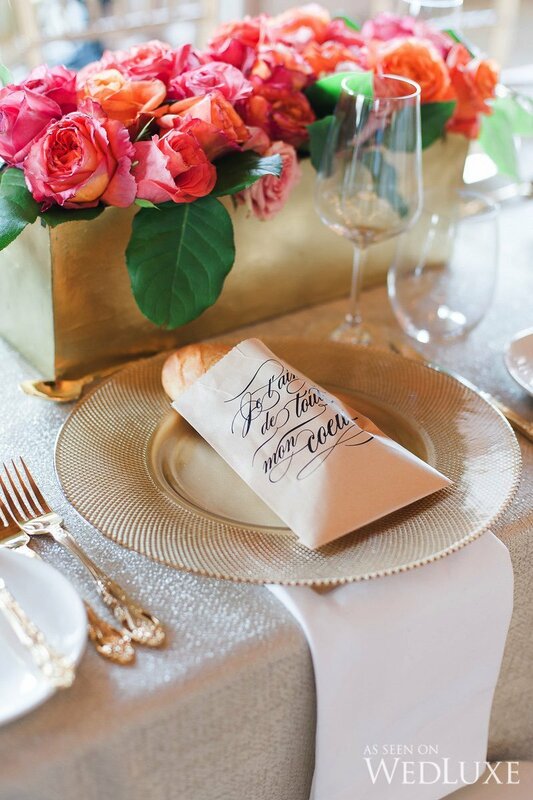 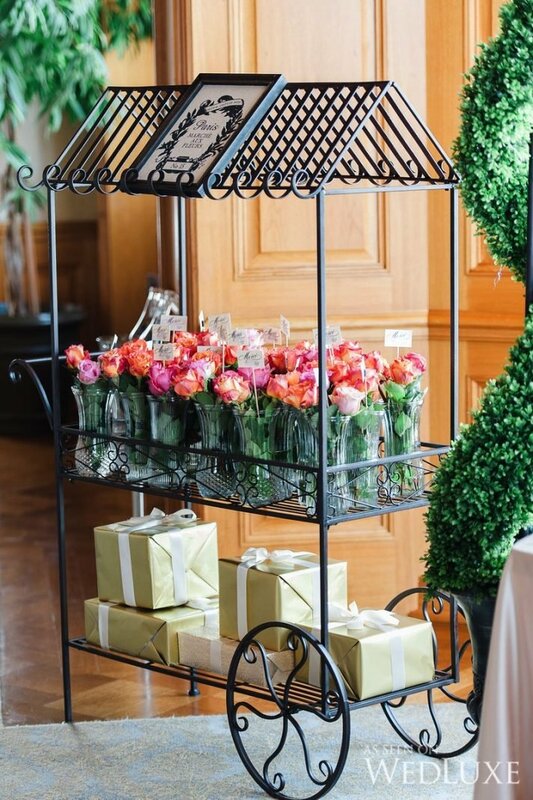 A seating chart was designed to mirror the famous Pont des Arts bridge filled with “Love Locks.” Dining tables were decorated with a mix of fragrant coral and pink blooms in gold vases, and place settings featured demi baguettes in custom packaging from inkandpaper.